Insulation coating on wine tanks greatly reduces cooling cost to support glycol jacket-based cooling or heating during the fermentation process at the optimal level despite very warm or very cold temperatures. 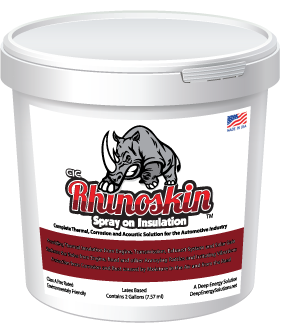 The coating by itself will help reduce fluctuations in temperature during hot or cold swings. Also, insulation coating will greatly reduce solar-based heating of wine tank surfaces and lower cooling costs by 25-35% during peak periods and 10-15% overall according to applications on building envelopes and other structures. For cold regions, insulation coating helps keep tank temperatures high enough to maintain the fermentation process. Besides initial cost, maintenance, and a short lifespan (8 years average) the main problem with foam-based insulation is that it absorbs heat, retains that energy next to tank surfaces and re-radiates it long after sunset, prolonging the need for active cooling. When insulation coating is used on top of conventional material, it reduces solar heat loading and absorption, making the conventional material more effective. 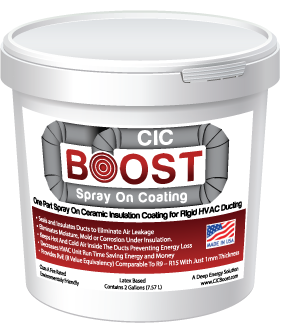 Initial cost of foam-based insulation is typically over $8/square foot based on applying multiple layers - a "tack coat", three separate layers of 1" foam and a protective seal coat over the foam as a UV and moisture barrier. 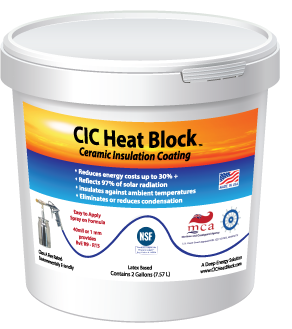 Thin ceramic-based insulation coating combined with foam would consist of a "tack coat" consisting of 0.020"/0.5mm of thin ceramic insulation coating, one to two layers of 1" foam insulation and a top coat of 0.020"/0.5mm of thin ceramic insulation coating to reduce solar heat loading and provide additional insulation.